There are times when you want to configure your website to explicitly disallow access from certain countries, or only allow access from a given set of countries. While not completely precise, use of the MaxMind GeoIP databases to look up a web client’s country-of-origin and have the web server respond accordingly is a popular technique. 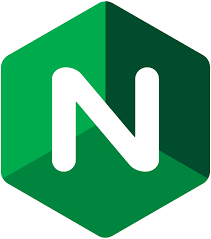 There are a number of NGINX tutorials on how to use the legacy GeoIP database and the ngx_http_geoip_module, and as it happens the default Ubuntu nginx package includes the ngx_http_geoip_module. Unfortunately the GeoIP databases will no longer be updated, and MaxMind has migrated to GeoIP2. Moreover, after January 2, 2019, the GeoIP databases will no longer be available. This leaves us in a bind. Luckily, while the Ubuntu distribution of NGINX doesn’t come with GeoIP2 support, we can add it by building from source. Which is exactly what we’ll do! In this tutorial we’re going to build nginx from the ground up, modeling its configuration options after those that are used by the canonical nginx packages available from Ubuntu 16.04. You’ll want to go through this tutorial on a fresh installation of Ubuntu 16.04 or later; we’ll be using an EC2 instance created from the AWS Quick Start Ubuntu Server 16.04 LTS (HVM), SSD Volume Type AMI. Since we’re going to be building binaries, we’ll need the build-essential package which is a metapackage that installs applications such as make, gcc, etc. Now, to configure and compile. You will want to make sure that the ngx_http_geoip2_module will be compiled, and should see nginx_geoip2_module was configured in the end of the configure output. configuring additional dynamic modules adding module in /usr/local/src/ngx_http_geoip2_module-3.0/ checking for MaxmindDB library ... found + ngx_geoip2_module was configured checking for PCRE library ... found checking for PCRE JIT support ... found checking for OpenSSL library ... found checking for zlib library ... found checking for libxslt ... found checking for libexslt ... found creating objs/Makefile Configuration summary + using threads + using system PCRE library + using system OpenSSL library + using system zlib library nginx path prefix: "/usr/share/nginx" nginx binary file: "/usr/share/nginx/sbin/nginx" nginx modules path: "/usr/lib/nginx/modules" nginx configuration prefix: "/etc/nginx" nginx configuration file: "/etc/nginx/nginx.conf" nginx pid file: "/run/nginx.pid" nginx error log file: "/var/log/nginx/error.log" nginx http access log file: "/var/log/nginx/access.log" nginx http client request body temporary files: "/var/lib/nginx/body" nginx http proxy temporary files: "/var/lib/nginx/proxy" nginx http fastcgi temporary files: "/var/lib/nginx/fastcgi" nginx http uwsgi temporary files: "/var/lib/nginx/uwsgi" nginx http scgi temporary files: "/var/lib/nginx/scgi"
nginx http client request body temporary files: "/var/lib/nginx/body"
nginx http proxy temporary files: "/var/lib/nginx/proxy"
nginx http fastcgi temporary files: "/var/lib/nginx/fastcgi"
nginx http uwsgi temporary files: "/var/lib/nginx/uwsgi"
nginx http scgi temporary files: "/var/lib/nginx/scgi"
Now, run sudo make. NGINX, for all its power, is a compact and light application, and compiles in under a minute. If everything compiles properly, you can run sudo make install. We’ll be starting it momentarily! On to testing! We’re going to use HTTP (rather than HTTPS) in this example. Note: Use of logger here is optional, we just like to see the output of the geoipupdate invocation in /var/log/syslog. Let’s walk through the relevant directives one at a time. Since we built nginx with ngx_http_geopip2_module as a dynamic module, we need to load it explicitly with the load_module directive. This is pretty self-explanatory. If $allowed_country is no then return a 403 Forbidden. If you haven’t done so already, start nginx with systemctl start nginx and give the configuration a go. It’s quite easy to test your nginx configuration by disallowing your country, restarting nginx (systemctl restart nginx), and trying to access your site. NGINX and associated logos belong to NGINX Inc. MaxMind, GeoIP, minFraud, and related trademarks belong to MaxMind, Inc.